How did early modern Europeans make sense of political disunity? List several differences between Calvinist and Catholic Christians. Explain how religious affiliation was also a political matter in early modern Europe. Analyze similarities and differences between the views of Charles I, the Levellers, and the Diggers in 1649. 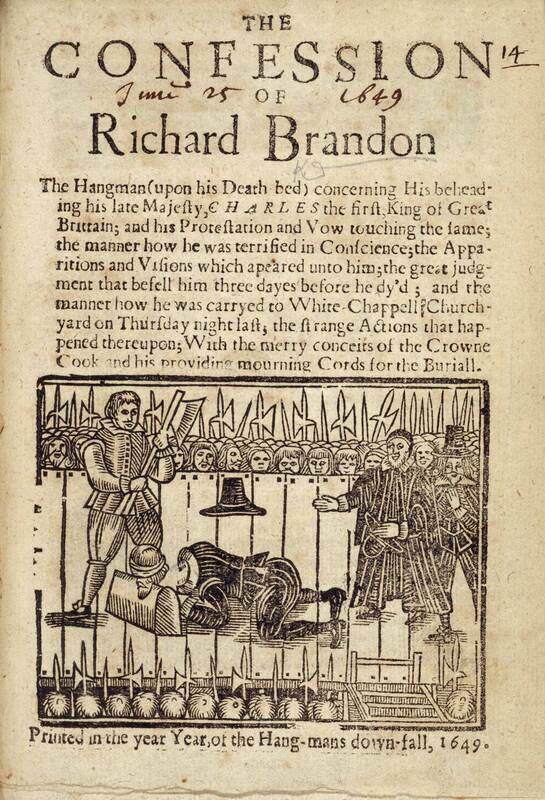 How did English writers justify political authority around the time of King Charles' execution in 1649? Who should rule, and what was the source of their power? God? Or something or someone else? Which writers seemed to reinforce the political ideals that we learned about in the previous Lesson (i.e., the Great Chain of Being, and the estates model of society)? Which writers seemed to challenge these ideals? Provide evidence for your answers from the primary sources. Which of the three primary sources do you think (or know) was written first? Why? Be aware that each of the three was written in 1649, so the challenge is to make your best guess about the order of the documents from that year. Provide reasons. Why might the order of the documents matter? When you make your contributions to the Forum, make sure you also continue to practice the skills of careful primary source analysis that you learned in the previous Lesson as well as the skills outlined in the Toolbox below. In the previous Lesson about rulers and subjects you learned about political ideals such as the estates model of society and the Great Chain of Being. For the most part these were ideals that encouraged Europeans to remain obedient to the established authorities in their churches and territorial governments. Although the ideals of obedience were strong in early modern Europe, they came under pressure from time to time. This Lesson has one main theme that we develop in two parts. The first part introduces you to the Protestant and Catholic Reformations of the sixteenth century. The second part focuses on the English Civil War of the mid seventeenth century. The connection between these two parts is the theme of protest against traditional authorities. The sixteenth-century Reformations were largely disputes about Papal authority, and the English Civil War was largely a dispute about royal authority. It’s easy to think of Christianity as a single religion, led by “a” church. That is certainly the way people often speak about “it” in everyday discussions. For historians who want to understand the very fascinating history of Christianity, it is more helpful to speak about Christianities in the plural. This is because Christians formed diverse sets of communities right from their earliest years in the ancient world. This diversity is important to emphasize in a course on the early modern world, since most of the Europeans who colonized the Atlantic world were Christians, but their Christianity came in several forms. The origins of the most important differences between Christian colonizers that we look at in this course are to be found not in the ancient world, but rather in the Reformation(s) of the sixteenth century. The early sixteenth century was a era of significant change. Not only were Europeans becoming aware of a vast and for them unexplored world across the Atlantic Ocean, but more and more of them were also gaining access to books reproduced on the printing presses that were spreading quickly across Europe. Amid these major changes, a fairly minor dispute about the Papal collection of indulgences (payments to release the souls of the dead from Purgatory) in the German province of Saxony escalated starting in 1517 into a major power struggle between supporters of the Pope’s absolute authority and those who wanted to reform the Church from within. 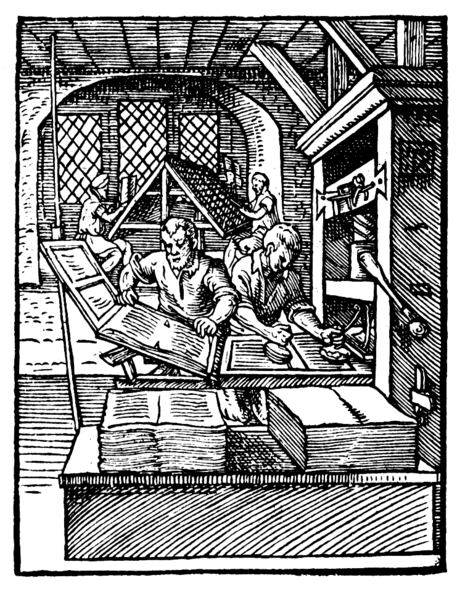 Martin Luther, who was a young and relatively unimportant Saxon priest at the start of this controversy, and his allies used the printing press in his fight against Indulgences. The Pope insisted that Luther stop his calls for reform. Luther refused. While Luther was not originally an opponent of the Pope in 1517, he quickly turned into an enthusiastic critic of the Papacy. When Luther started to gain many wealthy and powerful allies, including many German princes who ruled territories like Saxony, the regional dispute turned into a new and permanent division among European Christians. Those who supported Luther became known as Protestants. Those who remained loyal to the Pope became known as Roman Catholics. This is useful background for the secondary reading from Kishlansky, Geary, and O’Brien, since their section on Luther is not included in the excerpted readings. The focus of your reading from Kishlansky, Geary, and O’Brien is on Calvinists and Jesuits. Not all Catholics were opposed to reform, and the Jesuits are a major example of Catholic reformers in the early modern era. It is also important to know that not all Protestants considered themselves followers of Luther. In our course most of the Protestants we will read about came from the tradition associated with John Calvin. These people sometimes called themselves Calvinists, or sometimes simply "the Reformed". Jesuits and Reformed Protestants are important for us because people from these branches of Christianity had a strong missionary impulse and played a major role in European expansion. Religious reforms did not only lead to conflicts on the European continent. They also divided English men and women. In the sixteenth century, Reformed missionaries made many converts in the British Isles, but others remained loyal to the Pope and the Catholic Church. 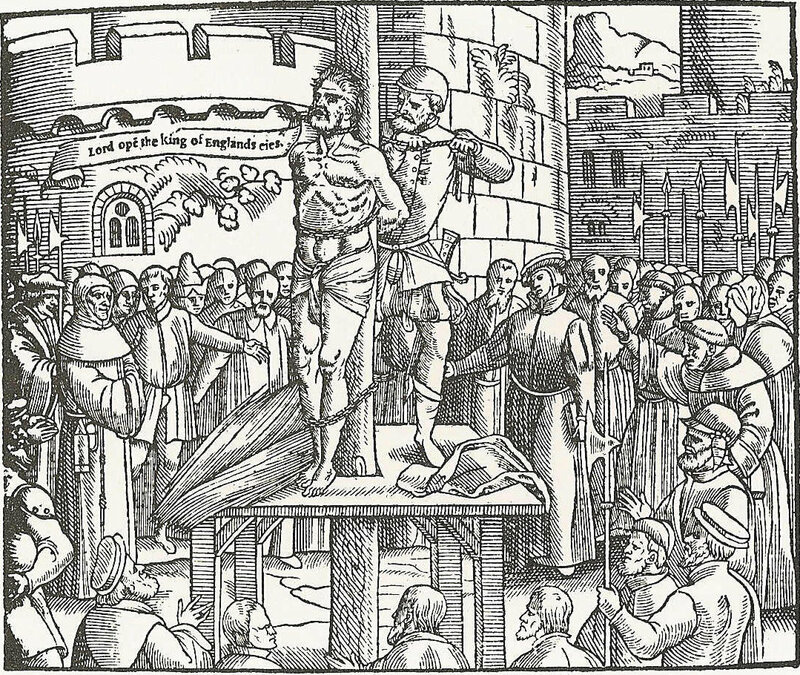 To complicate matters further, England became officially Anglican under King Henry VIII, who had several Protestant reformers executed for heresy, because he thought their calls for reform went too far and were dangerous to public order. Although Henry made his Kingdom into a Protestant (Anglican) nation, one of his successors (Queen Mary) was a staunch Catholic who reconverted her Kingdom to the Papal cause and who persecuted Protestants. In the reign of the famous Queen Elizabeth, England became a Protestant nation again. In other words, religious and political concerns were closely entangled in England. Another example of the entanglement of religion and politics was the fact that church membership could change one's political rights. 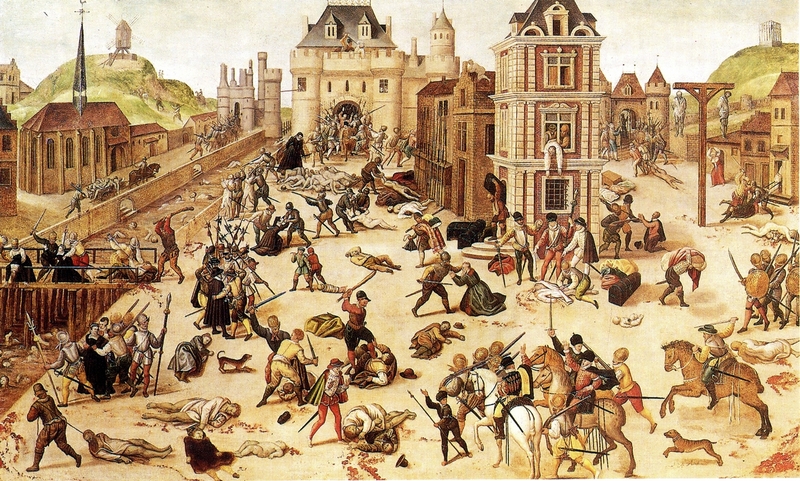 By the end of the sixteenth century, most Englishmen were Protestants who held strongly anti-Catholic views, and these Protestants worked to exclude Catholics from English public life. The belief that Catholicism was an aberrant faith and that the Pope was an enemy of all true Christians had been strengthened among English men and women by two famous events: the failed Spanish attempt to invade the British Isles in 1588, and by a failed Catholic plot to blow up the Parliament Building in London in 1605. While many (even most) English Protestants shared a distrust or hatred of Catholics, and while they usually considered themselves loyal subjects of their monarch, they were not always united. For us in this course, the era of the English Civil War can serve as an example. For a variety of reasons disagreements became so strong after about 1640, in fact, that some Protestants put their Protestant King on trial for treason, and executed him in 1649!!! In this era of the English Civil War religion became a very divisive subject -- a highly charged political subject. This Lesson gives you an opportunity to compare and contrast the views of King Charles, the Levellers, and the Diggers. In this week’s Toolbox, you will learn a little about a related skill that is important for primary source analysis, as well as most other aspects of historical research and thinking. That skill is chronological thinking. Historians tend to think chronologically (usually in stories or narratives). In fact, organizing evidence chronologically is crucial for effective contextualization, corroboration, and sourcing. A recent example of the importance of chronology is found is a controversy in the most recent American national election campaign. That controversy was about the timing of then-presidential-candidate Donald Trump opposition to the War in Iraq in the early 2000s. When did he first oppose the war? Did he oppose the proposed war before it started, or did he only start opposing the war after it became unpopular? This seems like a straightforward question, right? Answering it in some cases can become complicated and even politically charged. That’s why it’s good to pay attention to and become good at clear, basic chronological thinking. Most cases of historical chronology are not so controversial today, but they can be important nonetheless. For example, in this week’s Lesson we are comparing and practicing close reading of three sources from 1649. What order do you think the documents were written? The question matters, because writers in the English Civil War were responding to events and ideas that were changing quickly, and they were often responding to one another, sometimes in anger, and sometimes with charges that could lead to imprisonment or even death (e.g., King Charles I). Be aware that the answer to the “simple” question of what order these three sources was written is not so simple. You can look for dates in the documents. That can help, for sure. The problem is that each of these documents had complex histories. This means that each was written in stages. One main challenge for the Lesson is to find clues in the sources. The best clues will be passages in the sources. Dates in the text are potentially valuable, but they are not the only clues. Passages from the texts that discuss ideas or events that provide clues are also REALLY VALUABLE. Think like a detective. Ask questions about your evidence. When you do so, you are also thinking like a historian! About accessing the sources below: Remember to make sure that you are signed into Sakai in a tab in the same web browser that you are using to read this e-textbook. Charles I, and others, Eikon Basilike, Or, the Kings Book, ch. 15 (1649). The Agreement of the People (1649). Tony Benn, "The Levellers and the Tradition of Dissent," BBC History website, 17 February 2011. HIST 3P94, Historians and the Age of Religious Wars, 1559-1715.